Huntsville Restaurant Week Has Arrived—Time To Eat! Welcome to Huntsville, Alabama—a city bursting at the seams with unique, diverse, and delicious restaurants. On any given day, it’s possible to experience cuisine from all over the world without ever leaving the Rocket City. If you’ve been looking for an excuse to head out and explore the local food scene, you’re in luck. The 6th annual Huntsville Restaurant Week is happening August 11th through the 20th! 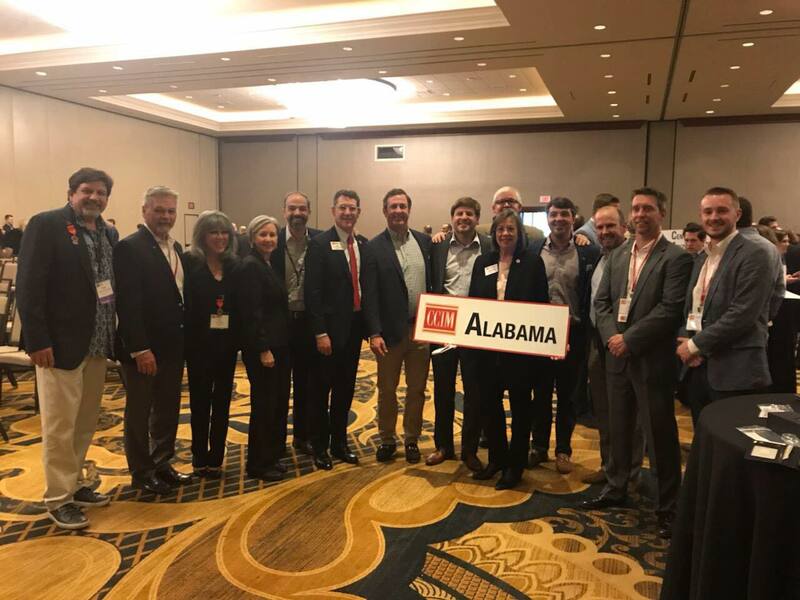 A part of the statewide Alabama Restaurant Week, this culinary event puts a spotlight on Huntsville/Madison eateries by encouraging patrons to enjoy discounts, tastings, and special events all throughout the week at participating restaurants. An impressive 60 restaurants will offer deals this year, making it the largest (and most diverse) Restaurant Week in the city’s history. And as an added bonus this year, local breweries will be offering specialty brews designed specifically for the event. It’s clear that in Huntsville, food is a big deal. So get ready for a marathon week of enjoying some of the best cuisine the city has to offer! What kind of deals can you get? Bonus Bites – This category features establishments that do not offer lunch or dinner but will participate by giving discounts on desserts, appetizers, or smaller bites. Click here to view the entire list of participants in the 2017 Huntsville Restaurant Week. We had to try out a few for ourselves! With all of this much-deserved hype, a few of us at Crunkleton set out to try some specials. (And we will be trying more as the week goes on.) What we discovered were some of the most mouth-watering dishes we’ve ever tasted. 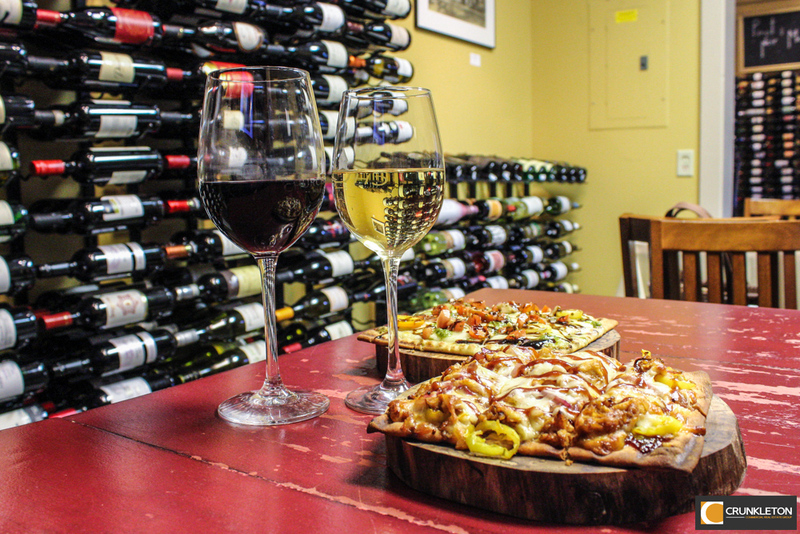 The deal – $15 Food and Wine pairing. Options include Guacamole & Belle Chevre Dip, Basil Pesto Flatbread, Barbecue Chicken Flatbread or Summer Salad. One of those items will be paired with a wine choice of Leap of Faith Corbieres or Mode de Vie. We couldn’t help it—we ordered it all! It’s impossible to decide between Barbecue Chicken and Basil Pesto, after all. 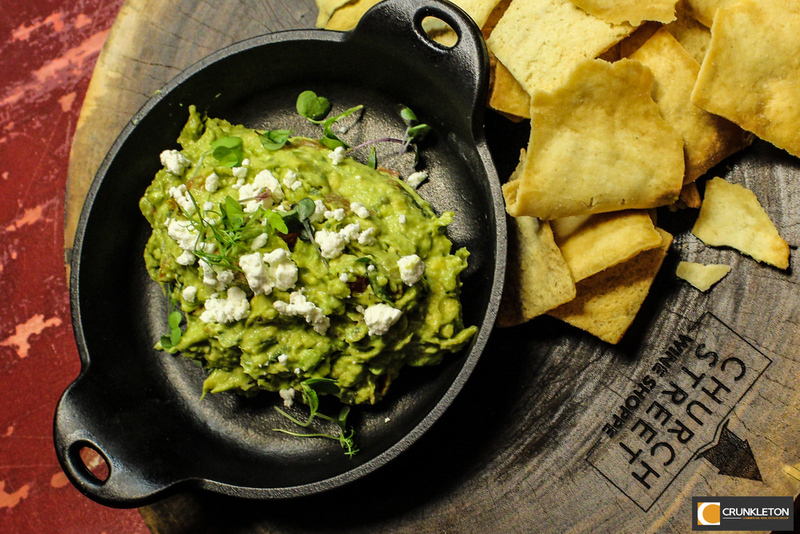 And the guacamole almost stole the show! With a generous helping of Belle Chevre atop, every bite was extra creamy and flavorful. But the Summer Salad was nothing to be ignored. The fresh slices of watermelon and heirloom tomatoes were perfectly paired with the Mode de Vie. Speaking of wine, the selections were outstanding, as well. The Mode de Vie White Blend is from the Languedoc region of France and is making its world debut at Church Street Wine Shop. At the moment, it’s an exclusive offering of the restaurant made by local Huntsvillian Bjoern Lanwer. And let’s not forget the red wine, Leap of Faith. Another creation of Bjoern, this wine comes from the Corbieres region of France and is also making its world debut. Be sure to check out the artwork on the bottle. 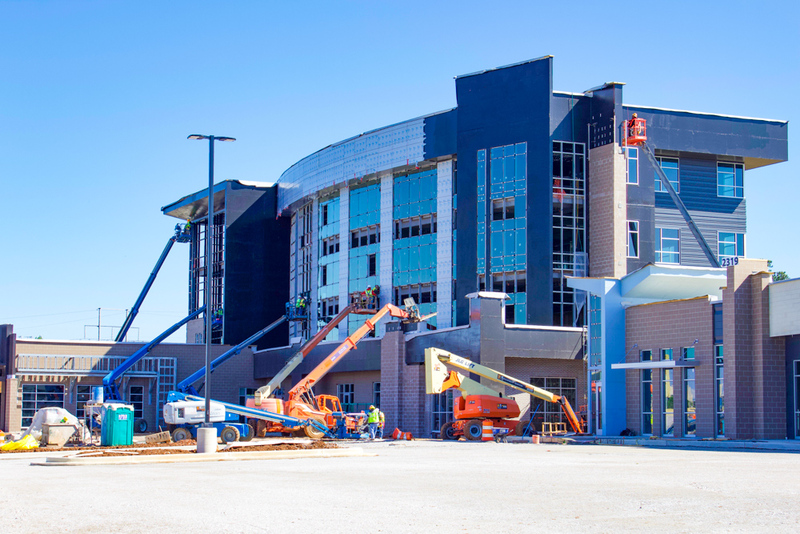 It was designed by Kevin LePrince who broke fundraising records at the Huntsville Museum of Art as their featured artist, selling over 20 paintings in one night. 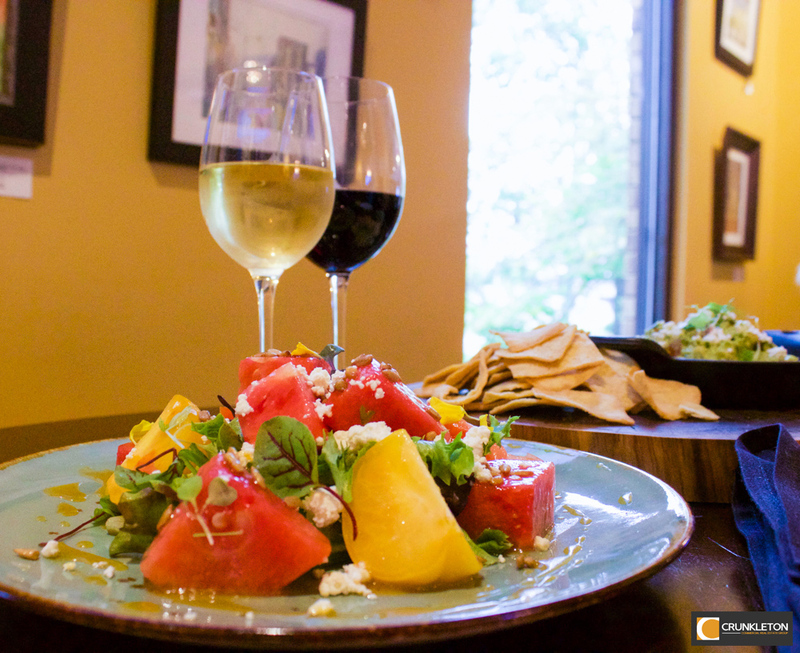 Church Street Wine Shoppe is the perfect place to get something fresh and filling this week. And be sure to ask for the guacamole. 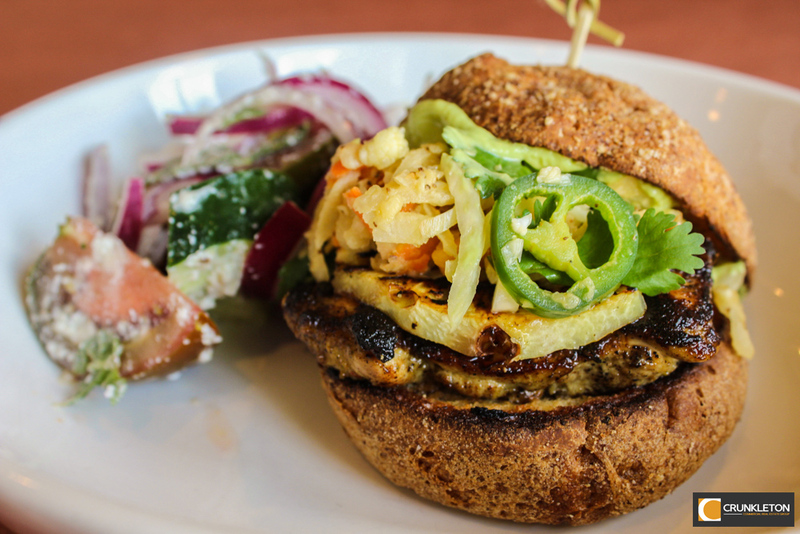 The deal – $15 “Steve Martin” jerked chicken sandwich with grilled pineapple, lime aioli, and smoked jicama slaw. (For a vegan option, substitute jerked portabella in place of chicken) with a choice of side salad (house, Caesar or cucumber) and a choice of fresh baked cupcake. Have you ever seen the Steve Martin movie “The Jerk”? Mason Dixon loved the 1979 classic so much that they named a sandwich after it. It IS jerked chicken, after all. Along with its clever name comes a bold, sweet, and savory taste. It wasn’t difficult to devour the entire thing, and the pineapple and jicama slaw balanced out the flavors perfectly. If you’re in need of a gluten free option this week, look no further. The team at Mason Dixon will make your wishes come true. Honest Coffee Roasters has become a popular spot for hanging out, having business meetings, and catching up with friends. 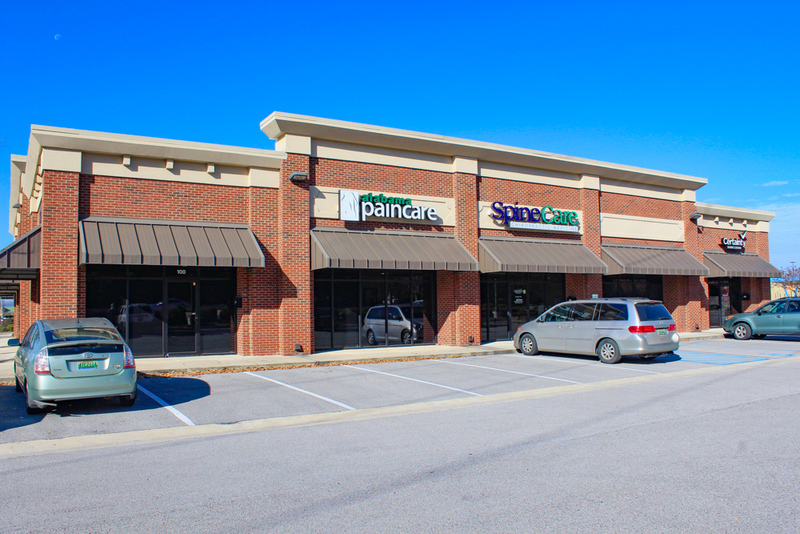 And it’s located in the heart of Downtown Huntsville. 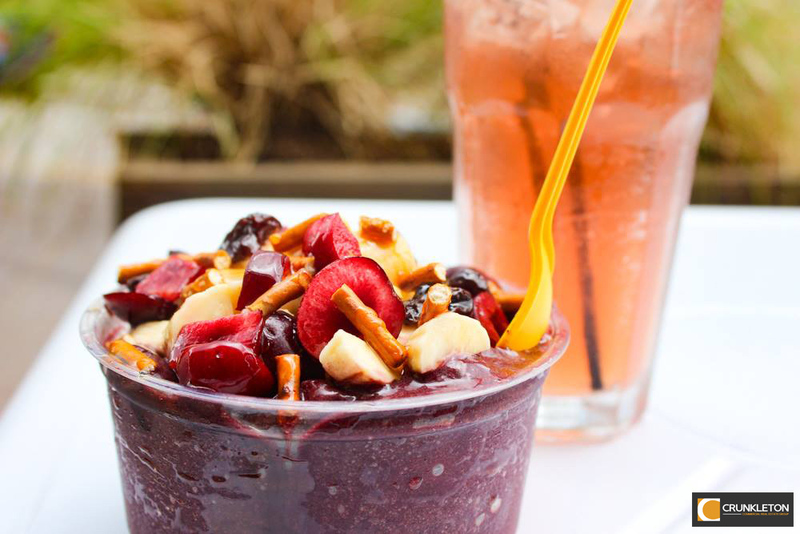 Yes, you can get some wonderful specialty coffee there, but locals are falling in love with their acai bowls too. This week only, Honest Coffee will offer two items that are not normally found on the menu. 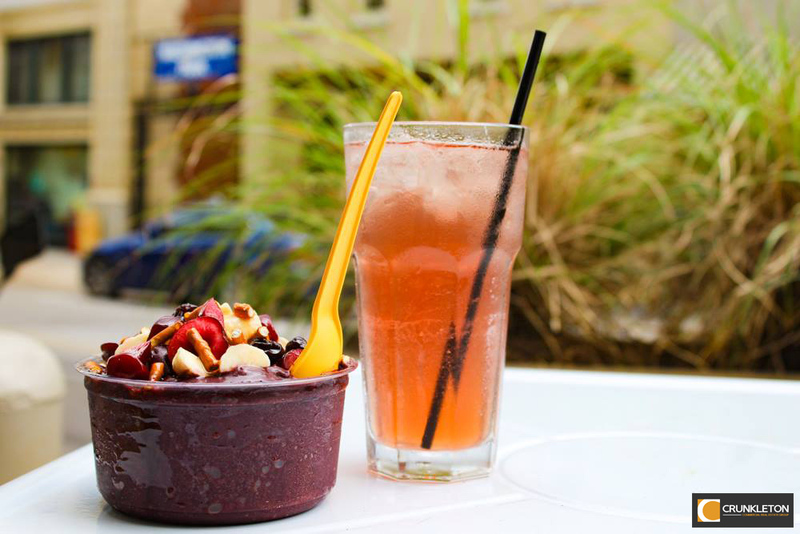 Introducing the Sunset Spritzer and Midnight Maqui Bowl! This sweet, salty, and very filling bowl is just what we needed on a busy Monday morning. The Midnight Maqui Bowl features dried cherries, pretzels, bananas, cherries, honey, salt, and maqui powder. Maqui is a super fruit that is growing in popularity and packed full of antioxidants. And the Sunset Spritzer is the coffee shop’s version of a cherry soda—delightful! There are also other specialty drinks to choose from including the Twickenham Tea Latte, Ninth Green, and Peach Please. Why not try them all? Of course, this is only a VERY small sampling of what is available this week. (If we had time we’d definitely try them all!) We hope everyone has a chance this week to investigate the unbelievable culinary scene in Huntsville. 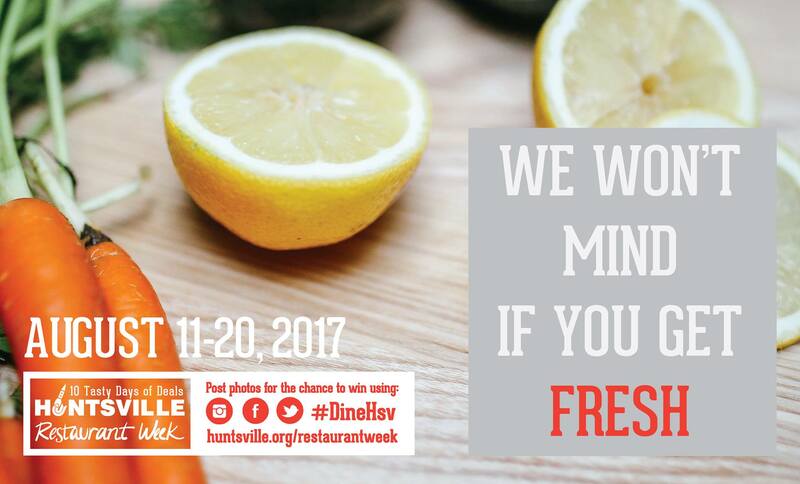 Oh, remember to take plenty of food pictures and tag them with #DineHSV. You just might win a prize! Is there a special you are excited to try or a restaurant we should go check out this week? We love suggestions. Let us know in the comments below! 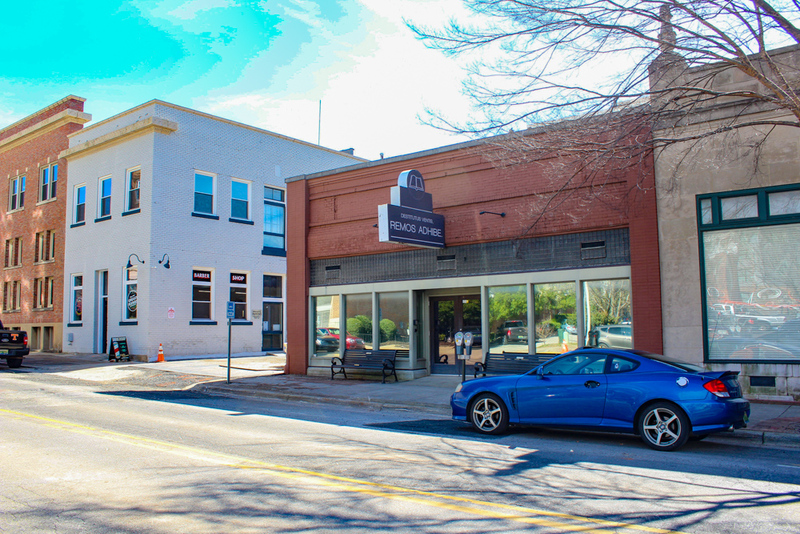 Next Next post: Welcome “Oshi Poké Bowl and Sushi” As The Avenue’s Next Tenant!